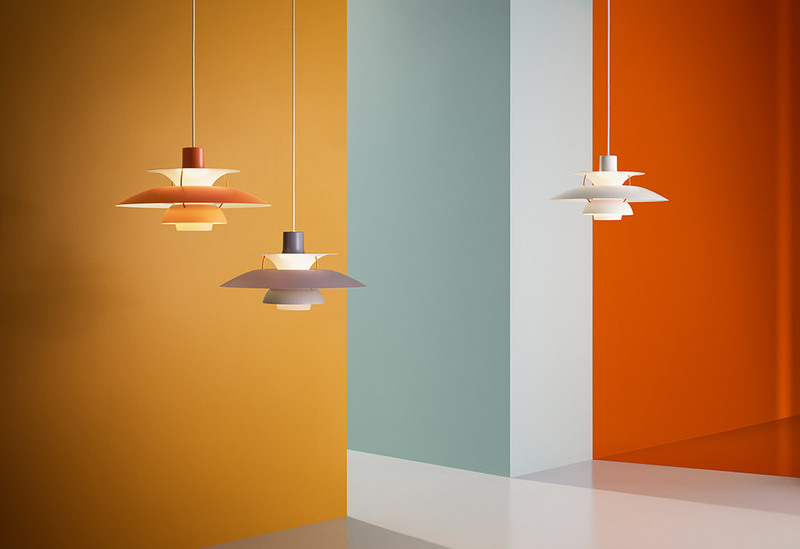 Louis Poulsen's modern looking PH-5 hanging pendant light fixtures in different color hues from Stardust.com. Much has changed in the six decades between 1958 and 2018. But the ingenuity of Poul Henningsen’s PH 5 has kept the design relevant for all these years, proving the concept’s worth time and time again – in every space and every hue. 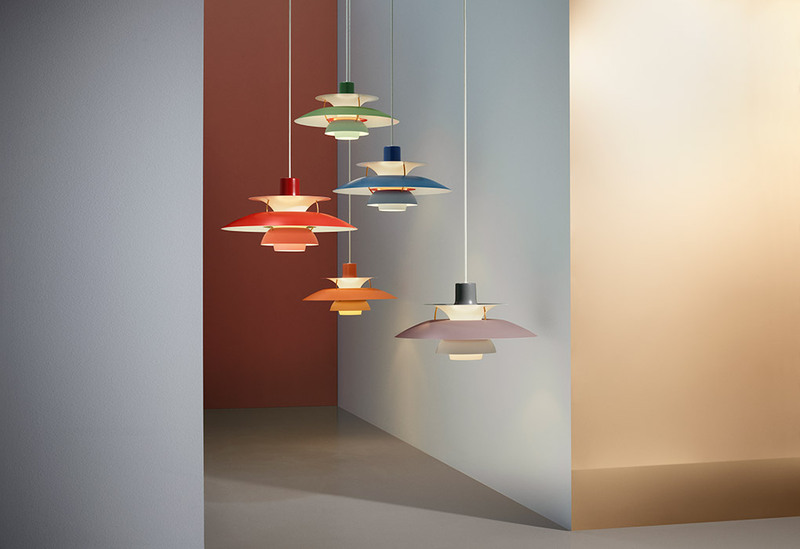 To celebrate the PH 5’s anniversary, Louis Poulsen has released the lamp six new color hues – Hues of Orange, Hues of Rose, Hues of Red, Hues of Green, Hues of Blue and Hues of Grey. A gentle, warm glow. The PH 5’s five-shade system infuses spaces with 100% glare-free, even illumination. 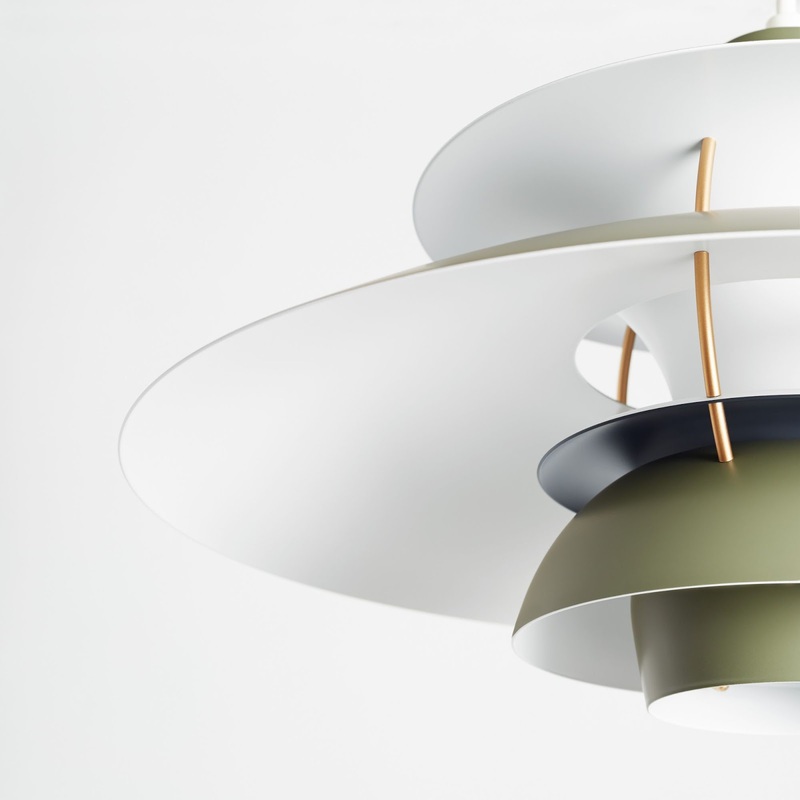 A lightbulb produces the ideal combination of downward and lateral light to gently illuminate the surroundings and the fixture itself. Interior anti-glare rings and reflectors ensure a warm light tone that complements the daily rhythm of natural light. 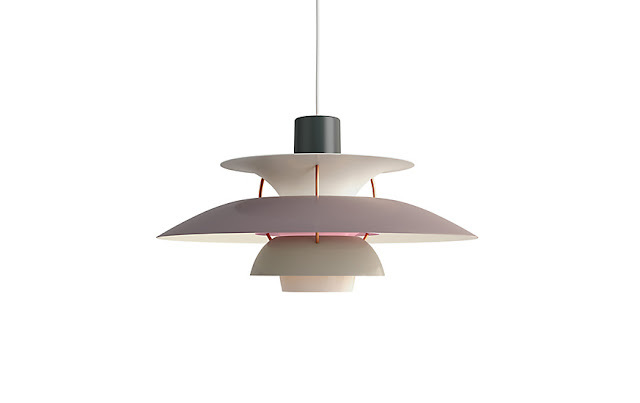 True to the multi-talented Henningsen’s signature balance of function and form – of technology and art, in other words – the PH 5 serves as a beautiful sculptural element both when it is on and off. 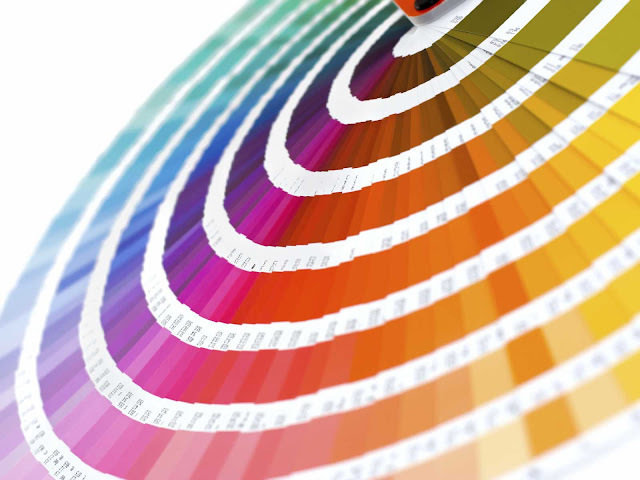 Its impact is enhanced by the bold new colour options, and the top-to-bottom graduations from dark to light within each colour variant. Poul Henningsen (PH) was born in Copenhagen to famous Danish actress Agnes Henningsen. He was a self-taught architect, studied at The Technical School at Frederiksberg in Denmark from 1911-14, and then at Technical College in Copenhagen from 1914-17. 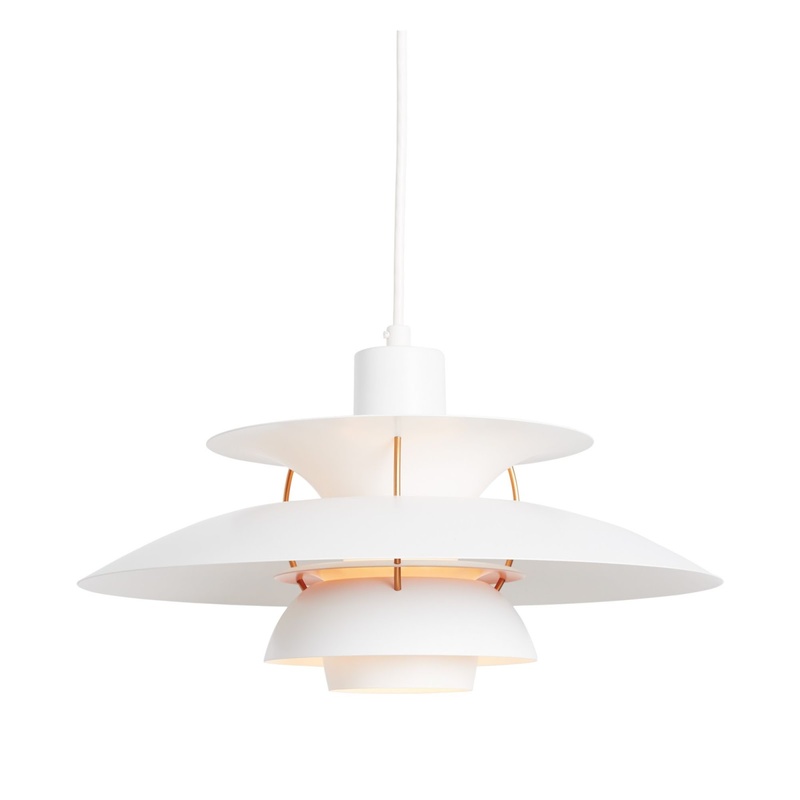 Over the years, his professional interests shifted from traditional, functionalist architecture to lighting, for which he is best known. He also expanded his occupation to include writing, becoming a journalist and an author. For a short period at the beginning of WWII, he was the head architect of the Tivoli Gardens project in Copenhagen. 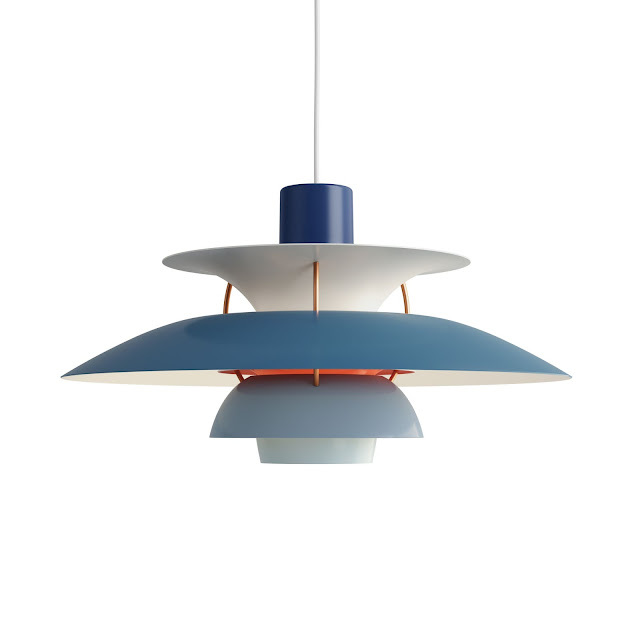 But like many other creative people, he was forced to flee Denmark during the German occupation, becoming a vital part of the Danish colony of artists living in Sweden. 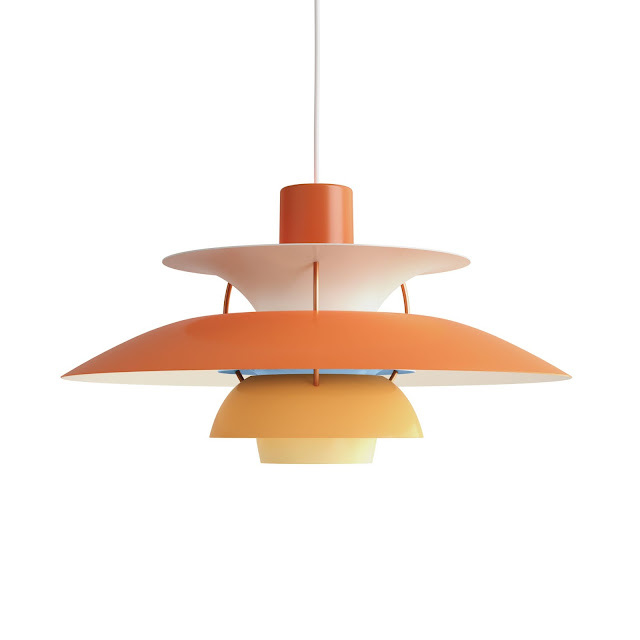 Henningsen’s lifelong collaboration with Louis Poulsen began in 1925 and lasted until his death in 1967. To this day, Louis Poulsen still benefits from his genius: his pioneering work with the relationship between light structures, shadows, glare, and colour reproduction remains the foundation of Louis Poulsen’s approach. 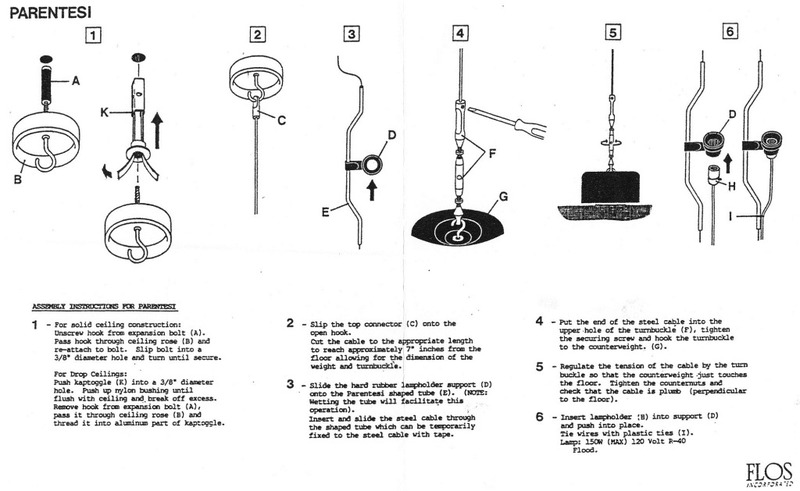 Use these guidelines to install the Flos Parentesi; the modern ceiling-to-floor spot light reading lamp made by Flos. Need Parentesi installation instructions? 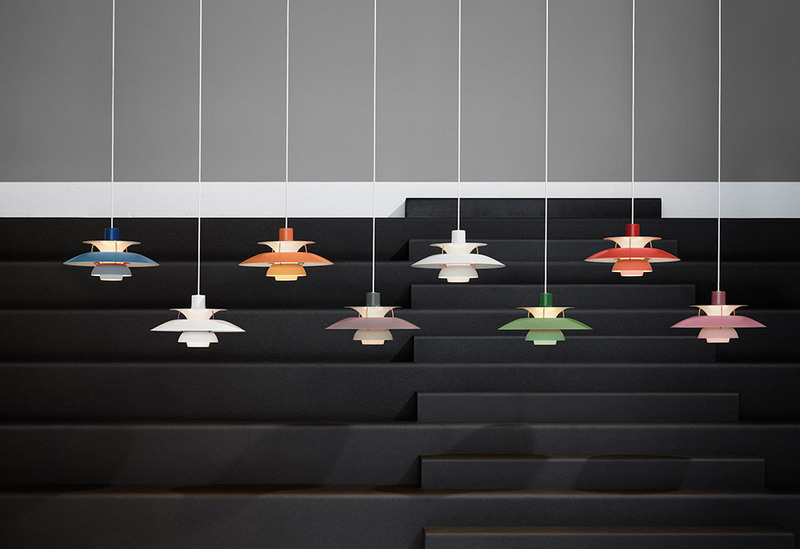 The Parentesi Lamp by Flos is easy to install with these helpful steps. 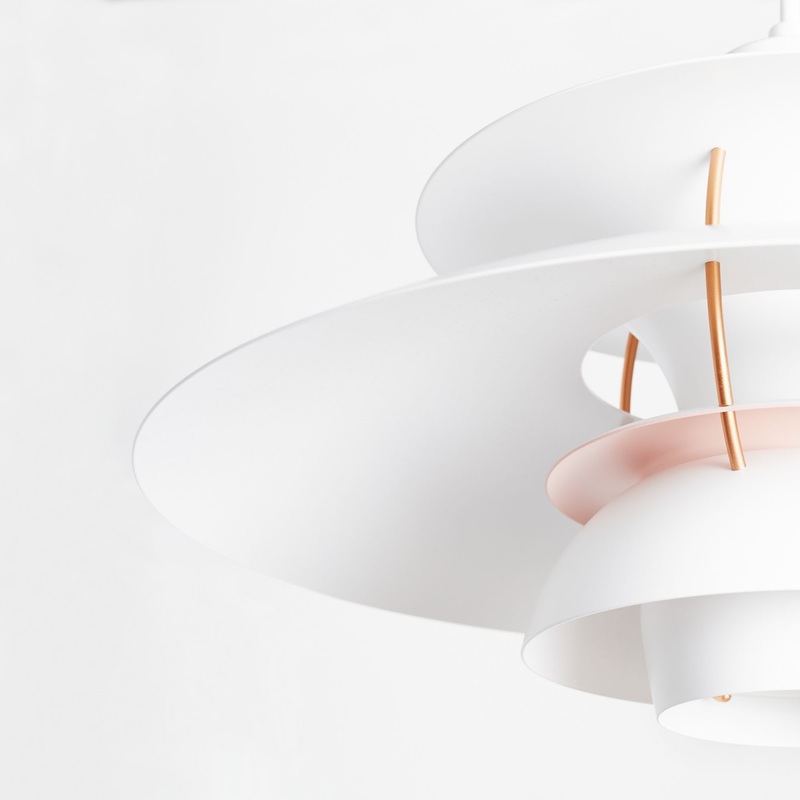 If you are unfamiliar with lighting and or do not feel comfortable with installing the lamp yourself, please consult with a licensed electrician. 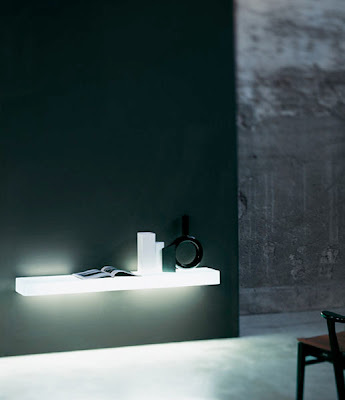 We recommend to purchase the Flos Parentesi Lamp from an authorized Flos lighting store such as Stardust. For solid ceiling construction: Unscrew hook from expansion bolt (A). Pass hook through ceiling rose (B) and re-attach to bolt. Drill 3/8" bit hole in ceiling with hammer drill. Check depth of hole against the bolt ever 1/2" to achieve the perfect depth which is needed for the Parentesi to install flush to the ceiling. Slip bolt into a 3/8” diameter hole and turn until secure.